Talking about debt seems to be such a taboo subject, people avoid it like the plague. Nobody likes to be open and honest about their situation with money, and whether they are in any form of debt or not. But there’s absolutely no reason to, because or world is filled with more people in debt than there are people not in debt. The majority of the people you pass in the street are going to be in just as much trouble as you, if not worse. But this lack of communication over the issue is one of the main reasons that people see to be stuck in debt for years and years. Having that burdon weighing over your head is not something you need. So we’ve got some of the main causes of debt lined up for you, and have you can get out of them sooner rather than later. Have a read on to find out more. Raising a family is so hard whether you’re a single parent or not. The thought of actually having a child blinds a lot of potential parents to the expenses that it is actually going to cost. Right from the moment you give birth, until they get a full time job and can start paying their way, all the money they need is going to come from you. If you thought trying to get by and fund your own lifestyle was hard on just your own wage, wait until you have a crying baby demanding things all the time. Not that we’re trying to put anyone off starting a family, it is one of the most beautiful things in the world. But the saying that ‘preparation is key’ has never been more relevant to a topic. Having plenty of savings behind you is going to stop you from going into any form of debt. As for when they’re growing up, being careful with your money is the only way you’re going to stay out of debt. They’ll get to an age where they’ll want pocket money so that they’re able to go out with friends etc. Don’t put yourself out and spoil them, make sure they have enough money to have fun, but not enough that you’re left with nothing at the end of the month. Divorce is one of the most stressful things you’ll ever have to go through as it is. A marriage breaking down is still going to be emotionally challenging, even if both parties involved wanted the breakup to happen. But as much as it is draining emotionally, it is also draining financially. The fees you have to pay can often be eye watering, and they seem to be dragged on for months and months before anything is properly finalised. Luckily for you, there are companies out there such as austin kemp divorce solicitors that can help you through the process and make sure you get the best out of the divorce that you possibly can. But paying for the fees, taking the time off work, and having to juggle normal life around a divorce is often what puts people into debt. If you do need to lend money, make sure it’s careful lending so that you’re not getting yourself into too much trouble whilst having to deal with the stress of divorce as well. Careful lending is lending only what you need, when you ever so desperately need to. If you partner is cooperative and the divorce was mutual, they might be willing to contribute to the running of the house and the shopping if there is a child involved. By stupid mistakes, we mean stupid mistakes that you might have started to make when you were younger, and will have almost definitely carried on into your older life. Stupid mistakes means stupid spending. We all do it from time to time, it can be so easy to get carried away with it. 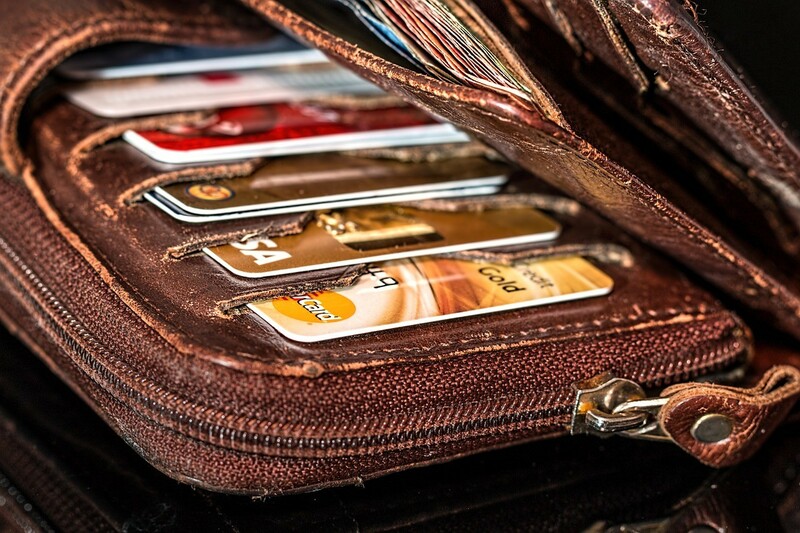 If you’ve ever taken out a credit card, especially if you took one out when you were younger, we guarantee you got carried away with it a built up a debt that might seem scary to get yourself out of. The best thing you can do is work through it methodically. If it’s just a credit card debt, then you know exactly how much you need to pay off. Don’t just pay the minimum payment, make sure you’re paying a fair amount each month. The best thing you can do is calculate when you’d like to pay it off by, and divide it by the sum of your debt. It’ll give you a monthly figure that you need to pay your debt by. Running a home is easy if you know how to do it in the right way. The first thing you need to do is be energy and water conscious, and make sure your family is educated on how to do so as well. The main expense people have each month is the rising number of bills, the flat rate of the mortgage usually isn’t hard to handle. The better you are in terms of energy and water, the more you’re going to be able to save each month. But it isn’t just the bills that get people down, it’s allll the other things you have to pay for that comes with owning a home. One of the main reasons people get into debt is because of random payments to fix things, mainly broken appliances. The best thing you can do is try and have savings to fall back on if things like this happen, or use discount stores to get a cheaper deal on a new appliance rather than breaking the bank, or going into debt to buy a new one. It’s also vital that you have home insurance to protect you if anything were to ever happen to your home. An accidental fire from a pair of straightners being left of could ruin your life and your finances. Simply paying home insurance each month would cover you if anything were ever to happen.